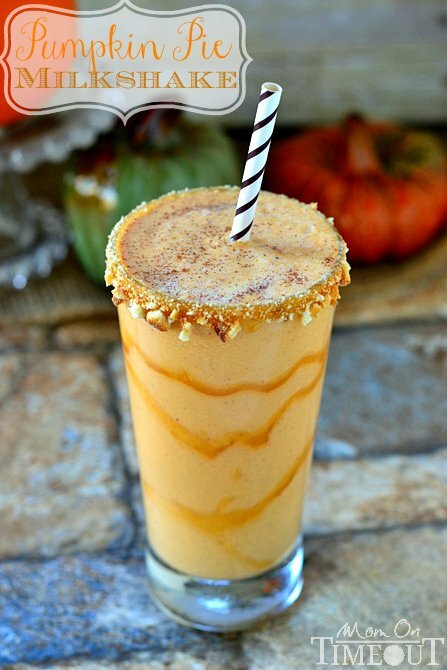 My new favorite pumpkin recipe – Pumpkin Pie Milkshake! 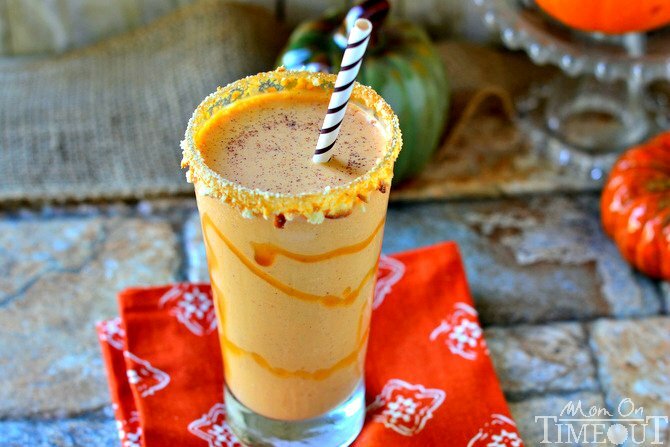 It’s like Pumpkin Pie in a glass, but better! You must make this milkshake! I’ve been busting out pumpkin recipes left and right and I’m going to tell you a little secret – I’m still not sick of them! 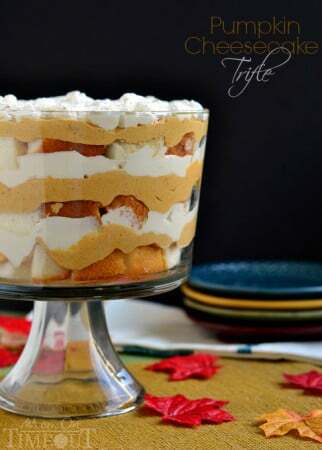 I think it’s all the variety that’s keeping me interested – cookies, bars, trifles, fudge, cakes – it’s amazing how many different ways pumpkin can be used! This one may just be my very favorite. First of all, milkshakes take like mere seconds to prepare (okay, maybe like 120 seconds). 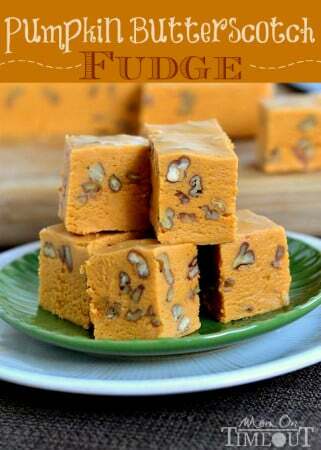 You could make this pretty darn guilt-free by using some fat-free milk and light ice cream. Heck! If it has pumpkin in it we call it good right? Second, this shake really does taste like pumpkin pie in a glass. But better. I added a little caramel drizzle in the glass just to make it pretty. And, of course, because I love caramel and pumpkin together 🙂 I rimmed the glass with caramel and then stuck it in a bowl of crushed vanilla wafers. Graham crackers would work great too! Finished it off with a sprinkling of pumpkin pie spice for that extra-special touch. Perfection! 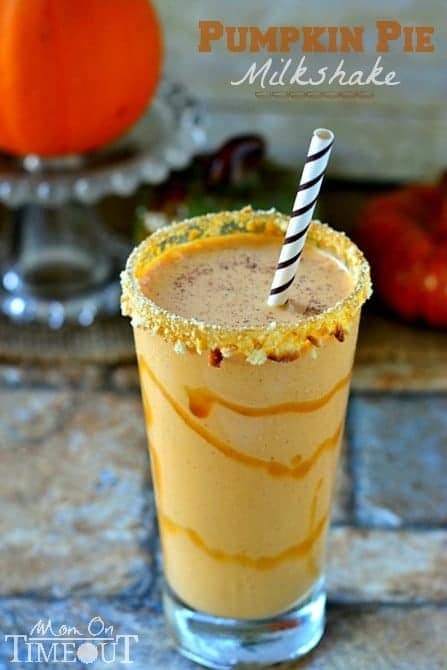 Combine pumpkin, ice cream, milk and spice in a blender. Dip a glass into a bowl with the caramel. Next dip the glass into the crushed wafers. Pour milkshake in carefully and top with additional pumpkin pie spice if desired. Wow! This looks amazing! Your pictures are perfect as well. This sounds amazing and I just love the refreshing look of the drink! mmm..looks like a yummy shake! Looks delicious, Trish! 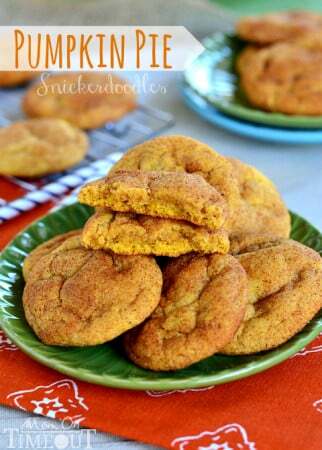 I love anyhing with Pumpkin this time of year! I will have to make these for my boys! Love the caramel drizzle!! So yummy looking! I love the idea of the caramel-rimmed glasses! Looks amazing. Thanks Wendy! It totally IS amazing 🙂 Have a great week! What a glorious milkshake! Pinned!